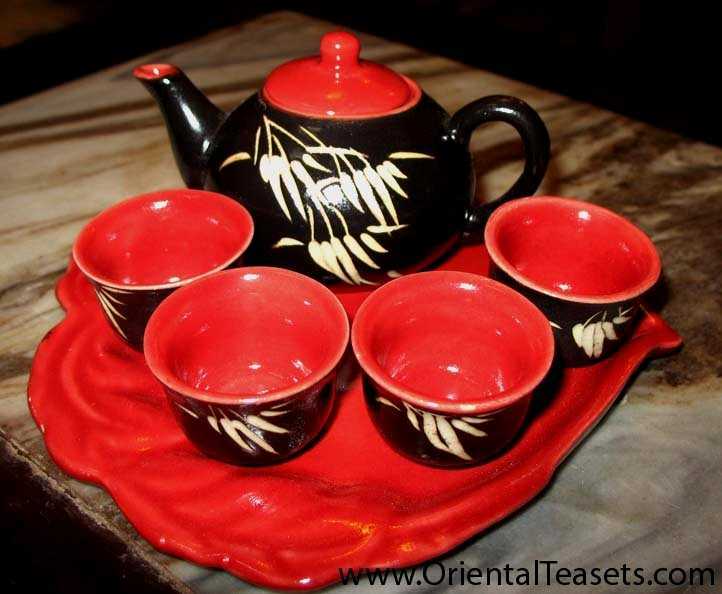 Charming miniature tea set with red and black enamel. The set includes one tea pot, four cups, and a tray as seen in the picture. This set is perfect for collection. 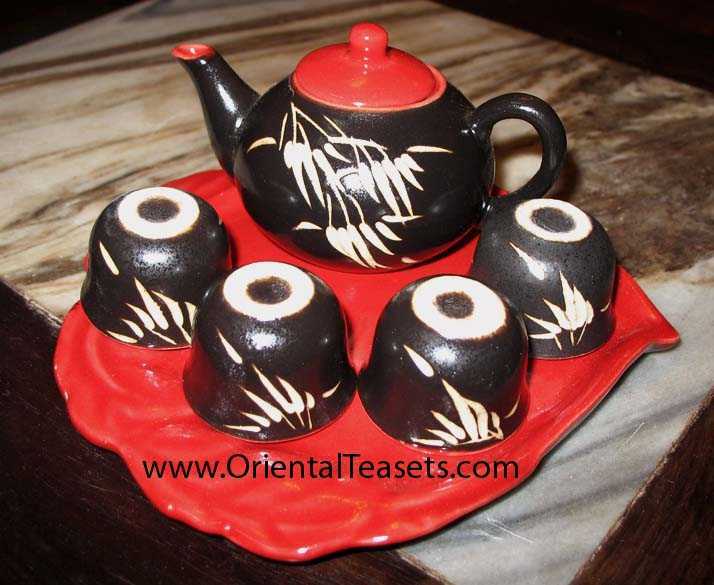 This tea set is also used for Vietnamese alter to worship acestors in every Vietnamese house.